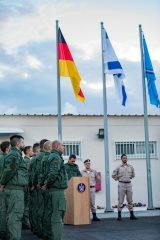 For the stationing of its drones in Israel, the Bundeswehr moved into an area on the Israeli air base Tel Nof on Monday. 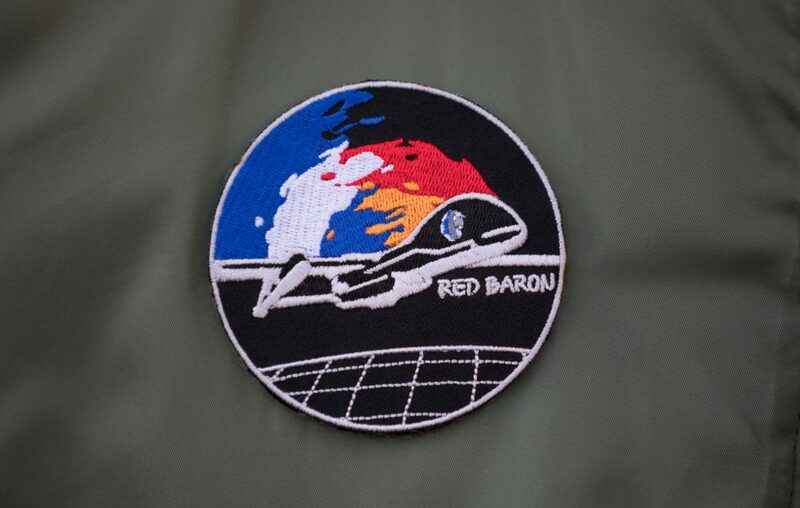 The cooperation runs under the name „Red Baron“, writes the German Air Force on its website. The name was chosen by the Israeli military. It honors the pilot Manfred von Richthofen. Which intention the Israeli air force pursues with the naming is unclear. As a combat pilot, von Richthofen achieved the highest number of air victories in the First World War. It is therefore reasonable that Israel expects the German drones to be armed soon. However, a further resolution of the Bundestag is necessary for this. Parts of the peace movement call on the members of parliament to vote on this in a decision of conscience. The training of the German drone squadron starts with twelve soldiers. According to reports, there is also one female pilot. In the container village based in the south of Tel Aviv, the German Armed Forces will initially station five „Heron TP“ drones. Tel Nof is one of the most important installations of the Israeli Air Force. Combat aircraft and drones also take off to Gaza, some 40 kilometers away, for missions. On the Internet, the Israeli Air Force explains that the base was set up under British occupation to prevent a German attack on the Palestinian Mandate. Originally, the drones for the Bundeswehr were not to be delivered until two years after the contract was signed. Now the German Air Force is writing that the first „Heron TP“ with the German military insignia is to be delivered at the end of the year, six months earlier than agreed. Until then the German soldiers are training with Israeli military drones. The Bundeswehr might fly over the territories occupied by Israel in 1967. The entire airspace in Israel and Palestine is under the administration of the military, every clearance to fly is granted from there. Kristof Conrath, the German Armed Forces colonel, whose fighter squadron „Immelmann“ includes the drones, sees this as an advantage. The „Israeli partners“ had „extensive experience and the corresponding airspace structure“ for drone flights. Conrath refers to unarmed operations. But the name of his squadron is also based on a famous combat pilot from the First World War. Images: German Luftwaffe (Francis Hildemann).